Do you know your neighbour? How would you feel if the house next to you had a revolving door of transient guests coming and going? Well, the Town of Pelham intends to license Short-Term Rental Properties (STRP) within your neighbourhood. Town CAO Darren Ottaway, and Director of Planning and Development Barb Wiens have prepared a draft report to Town Council which outlines licensing residential homes to host guests from online sites such as Airbnb, HomeAway, FlipKey and others. This follows the second half of a Town of Pelham problem- solving session with 20 residents of the Lookout Subdivision, held last Thursday, to address residents’ concerns about STRPs within the community. The draft report identifies the intent to license Bed and Breakfast establishments and Short Term Vacation Rental properties (less than 30 days, by the room or entire home) throughout Pelham, including in residential subdivisions. This is a significant change to the Town’s current by-laws, which permit these establishments only in General Commercial zoning. The staff recommendation intends to permit this use in every home within the town—every home, on every street, in every neighbourhood. 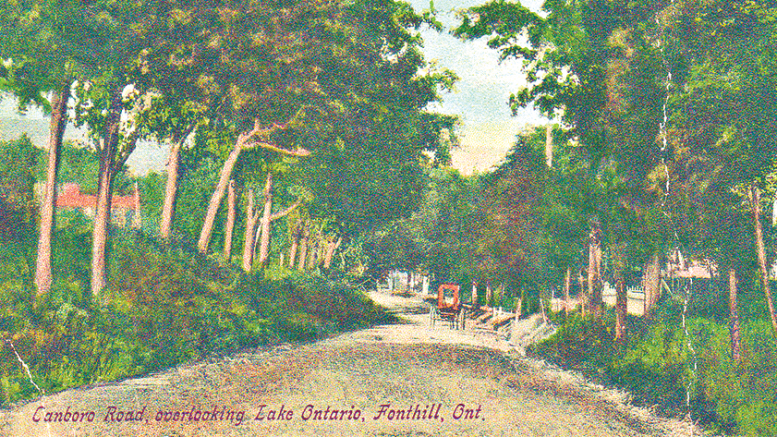 The reason for this was made clear when Darren Ottaway identified a new revenue stream for Town coffers—an opportunity to charge licensing fees to these properties, as well as to increase their property taxes, effectively discarding the concept of residential neighbourhoods as collateral damage. The Town identified only 20 such properties currently operating within town limits, with three of these in the Lookout subdivision. However, two of the three locations in the Lookout subdivision are associated with four investment properties where the owners do not reside in their homes. Once Town Council passes these measures, our residential neighbourhoods will effectively be “Open for Business” and the number of STRPs is expected to increase significantly. What is most troubling is that 85 items of concern residents of the Lookout subdivision identified to Town officials on July 25 appear to have been discarded. Attending at this initial problem-solving meeting were CAO Ottaway, Planning Director Wiens, Fire Chief Bob Lymburner, and Ward 2 Councillor Gary Accursi. Ward 2 Councillor Catherine King was invited, yet was unable to attend. Several Lookout residents identified having significant safety and property value concerns related to their experiences with STRP guests. These include STRP guests opening doors and walking into the wrong homes, knocking on the doors of wrong homes late at night, drug transactions, houses being rented for late- night parties, parking issues, their children witnessing these activities, vandalism and absentee landlords. There are Pelham families who are afraid to enjoy their own yards because of the unknown transient nature of these guests and experiences they have already had with STRPs. In the case of four of the Lookout STRPs, their investor/owners don’t reside in the properties and they are not accountable, accessible or proactive in erecting and sharing the cost of fencing to isolate their neighbours from these activities. As a result, residents identified experiences where guests openly walked across their backyards. 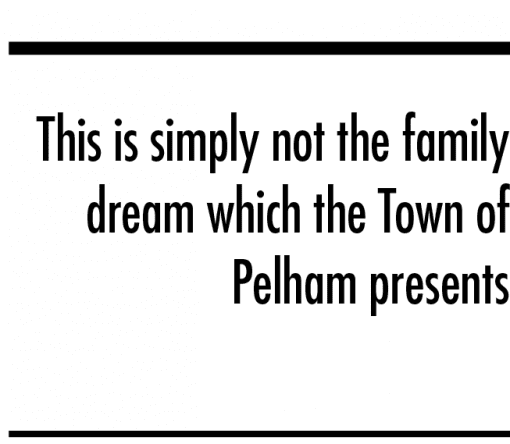 This is simply not the family dream which the Town of Pelham presents on their website, or in their Official Plan or Secondary plans. By contrast, residents stated at the meetings they feel like hostages within their homes. Other residents told stories of neighbours who have sold their homes and moved elsewhere as a result of these properties, while others who want to sell are unable to, even after lowering their asking price by some $120,000. Several potential buyers have approached residents asking if there are any STRP properties in the neighbourhood and then promptly moved on once they were told yes. The purchase of a home represent the single largest purchase most of us will ever make. Home values in various neighbourhoods throughout Pelham range from $400,000 to well over $1 million. After making this investment, how would you feel knowing a transient guest may be staying in the house next door, paying as little as $43 a night per room or $200 a night for a 5-bedroom home. How well would you sleep having no idea who the revolving strangers are next door that night? With a municipal election so near and given that Councillor Catherine King and Mayor Dave Augustyn are not running for reelection, several residents at the meeting questioned the rush to conclude this matter, especially given the significant impact on the community. CAO Darren Ottaway informed the residents that the current council was elected to serve the Town of Pelham and business has to continue even though there is an election underway. Municipalities have a duty to ensure the safety of their communities. Although many STRPs offer a positive experience, several municipalities, such as Blue Mountain and Niagara Falls, have limited them to downtown areas, tourist districts, or agricultural zonings, while forbidding them in residential and low-density zonings. Many residents in the Lookout subdivision have already experienced the negative impacts these properties bring to residential neighbourhoods and have petitioned the Town to not permit them in the Lookout subdivision. Yet the Town appears intent on giving all your neighbours the right to operate a STRP through licensing and site inspections to ensure compliance. What if a property chooses not to obtain a license? During the first problem solving session, Fire Chief Bob Lymburner, who is also Head of By-law Enforcement, readily admitted that the Town doesn’t have the resources to proactively patrol and enforce current by-laws. So how does the Town intend to monitor and enforce an entirely new industry of their own creation? The Town wants to trade off your residential neighbourhoods to generate revenue—to “create wealth,” in the January words of CAO Ottaway, related to whether a Town road repair was justified. Zoning laws exist for a reason, the most fundamental being to separate business and industry from where people live and raise their families. A neighbourhood is a place where your family and children should feel safe playing in their yard, going on a walk, visiting a park or waiting for a school bus. The Town of Pelham needs to keep its promise of a community with safe residential neighbourhoods, where you can enjoy and build relationships of trust and security with your neighbours—not find another set of strangers outside by the day, week, or month. Pelham should not be turned into a giant hotel district. Next Monday, August 13, at 6:30 PM, Town Council will meet to receive staff recommendations to license short-term rental properties. RELATED: Which ward do I live in?